There is a well-trodden tourist route in the southern half of Peru, commonly referred to as the Gringo Trail. This classic Peru itinerary encompasses many of the nation’s most famous attractions, including Machu Picchu, Lake Titicaca, and the Nazca Lines. With good connections by bus and plane, the route is flexible enough to accommodate schedules ranging from 10 days to a month or more. Most travelers arrive in Lima, so we’ll take that as our starting point (you can easily join the Gringo Trail if you’re entering Peru overland from Bolivia or Chile). How many days you spend in each location will depend on the amount of time you have and your personal preferences, so the days listed are a rough guide only. Many tourists arrive in the capital and leave just as quickly. If you only have 10 to 15 days in Peru, you’ll probably only need a day or two in Lima, perhaps more if you like big cities. Take a day to explore the historic center and eat at a good cevicheria (ceviche restaurant). There are many more things to see and do in Lima, so stick around if you have the time. Head south from Lima and you’ll pass through Pisco and Paracas. If you’re short on time, both cities are candidates for exclusion. The Islas Ballestas National Reserve is a big draw for nature lovers, so set aside a day or two in Pisco or Paracas if you want to explore the nearby islands and their natural inhabitants (Humboldt penguins, Peruvian boobies, pelicans, and more). The next stop is the city of Ica, another place to bypass if you want more time elsewhere. Ica is a major producer of pisco, so a day sampling Peru’s most famous alcoholic beverage may be in order. Pisco and sandboarding are perhaps a poor combination, but you won’t find bigger dunes than those in the nearby village of Huacachina. This little oasis is Peru’s sandboarding hotspot, so extreme sports fanatics should consider an overnight stay. Head further south and you’ll arrive in the uninspiring city of Nazca. The city may not have much to offer, but the nearby Nazca Lines more than make up for it. If you arrive early in the morning, you can take a flight over the Nazca Lines and visit some surrounding attractions before moving on to Arequipa later in the day. The attractive colonial heart of Arequipa is well worth a day or two of exploration. Don’t miss the impressively vast Santa Catalina Monastery. You’ll also find plenty of excellent restaurants, bars, and discos. Rugged landscapes surround the city, so trekkers should set aside at least a day or two in Arequipa. Highlights include the descent into Colca Canyon and the ascent of the El Misti volcano. Lake Titicaca, in short, is spectacular. The lakeside city of Puno, known as Peru’s folkloric capital, is the main base for tourists on the Peruvian side of Titicaca. From Puno, you can spend three or four days exploring the lake and its islands, including the Islas Flotantes and various archeological sites. If you’re short on time, you can still see Titicaca’s main attractions in two full days. If you have days to spare on your Peru itinerary, consider a trip over to the Bolivian side of Lake Titicaca, particularly to the Islas del Sol y del la Luna. 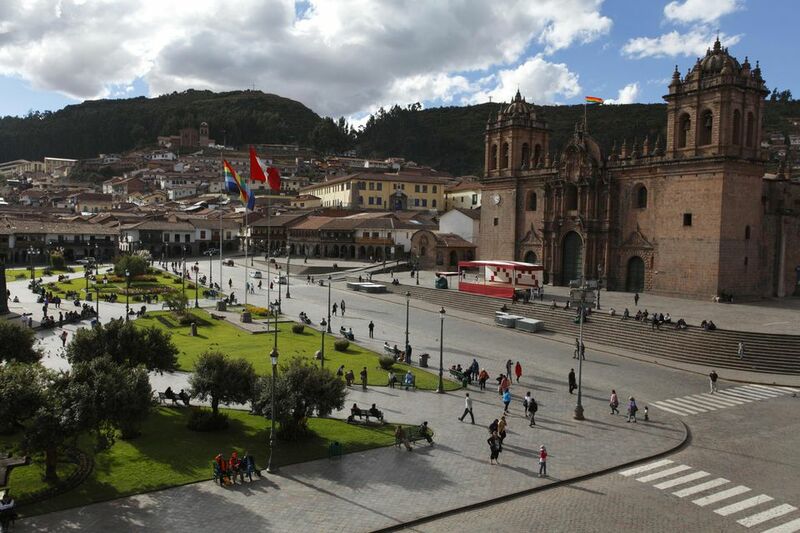 You could easily spend a month exploring the city of Cusco and its surrounding area. Machu Picchu is the main attraction, but further sites of comparable interest lie scattered across the region. Visitors also have Cusco’s regional cuisine, nightlife and cultural heritage to discover. While a month would be ideal, you can still pack a lot into two or three full days. Of course, if you want to hike the classic Inca Trail, you’ll have to set aside four days for the trek alone. If time is short, a one-day tour to Machu Picchu may be a wiser choice. Adding up the days spent on the above Peru itinerary, we have eight days at the lower end and 24 at the higher end. Including travel time, that would make roughly 10 days for the short tour and 28 days for a more comprehensive trip (depending on your primary mode of transport in Peru). Unexpected bumps in the road can soon upset a well-planned itinerary, so having one or two free days is a good idea. If you find yourself with time to spare at the end of your trip, you could perhaps make a short trip into the jungle or along the north coast of Peru. Do Mountain Spirits Haunt the Andes?